For DIM SUM lovers out there, JING is the place for you to feast yourself. 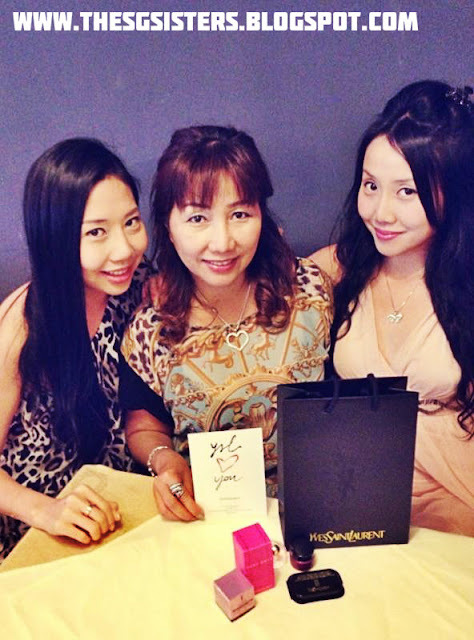 Recently, my family and I went there to celebrate Mother's Day. It was only SGD$58++ per person for their Buffet Brunch, and the variety of food is worth more than what you pay for. It is the second joint venture of Hotelier Loh Lik Peng and Chef Yong Bing Ngen who are famous for their award winning Majestic Restaurant at the New Majestic Hotel. Their modern Chinese cuisine is a mixed of French and Western fusion. One of my favourite dish which they are famous for is their Wasabi Prawns. I was really impressed when we each had an Abalone in our Chicken Soup. Their even serve Chilli Crab and Peking Duck there. The food there was impressive. Apart from that, their service was really good. The waiters were friendly, hard working and very efficient. It only took them around 5 minutes, before all our meal orders, started piling up on our tables, one after another. 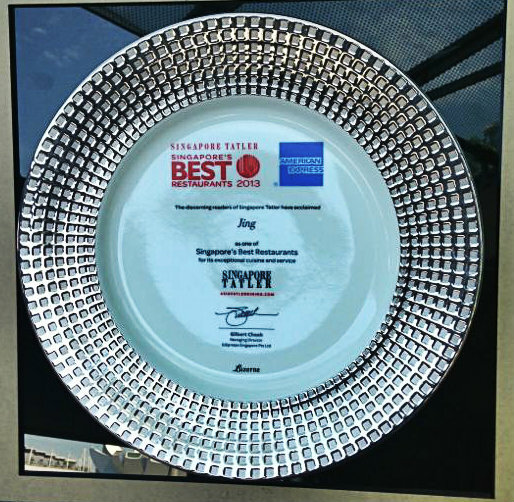 Jing was also listed as one of the Best Restaurant by Singapore Tatler 2013, this year. Good job! There's a table placed near the entrance of the indoor restaurant There, you may help yourself with some appetisers and end your meal with some deserts. Overall, it was an incredible fulling meal. As a Mother's Day Special, each mother also received a complimentary gift from YSL. I think, that was a lovely move from the Jing's Boss. Set lunches starts from S$45 to $85, while dinner sets range from $65 to $180.